From 9 September 2017 to 14 January 2018, Museum Boijmans Van Beuningen is presenting more than 60 of the most beautiful prints by Rembrandt. This exceptional selection of landscape prints, genre scenes, portraits, self-portraits and religious scenes can be appreciated for the first time, after a recent restoration and conservation project. Highlights include the Landscape with Three Gabled Cottages Beside a Road, St Jerome Beside a Pollard Willow and The Three Crosses, one of his most experimental works. All these etchings come from the museum’s own collection and are being shown as a group for the first time. Under the title 'Virtuosity and Imagination: Rembrandt Etchings from the Collection', Museum Boijmans Van Beuningen is showing more than 80 objects, including 60 of the most beautiful and rarest prints by Rembrandt. Several reprints and copies of his work are being shown alongside, as well as prints that were a source of inspiration for him. 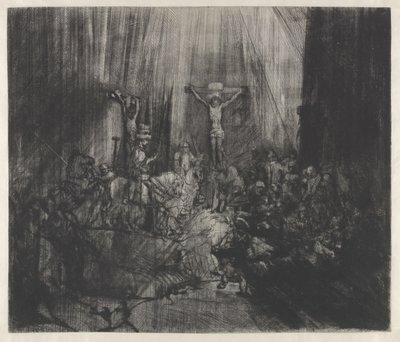 The Rembrandt prints are special because of his spontaneous handling of line, extraordinary treatment of shadow and light, and extensive use of drypoint. During his lifetime, Rembrandt’s graphic work, which was more accessible than his paintings and drawings, was the main reason for his fame throughout Europe. The name given to one of his masterpieces – the ‘Hundred Guilder Print’ – indicates his work’s desirability among contemporaneous collectors. 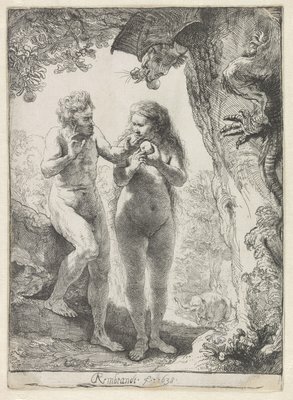 Rembrandt produced his first etching before he turned 20 years of age. For the rest of his life he built up a substantial oeuvre of more than 300 prints. As a graphic artist he wanted to measure up to the greats from the past, such as Lucas van Leyden and Albrecht Dürer. 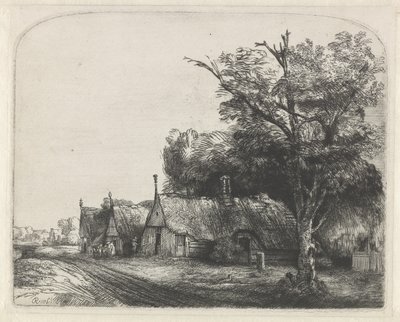 Museum Boijmans Van Beuningen is the steward of no fewer than 200 folios of Rembrandt prints: work produced by the master himself, as well as posthumous prints from the 17th century, reprints from the 18th and 19th centuries, copies and reproductions. The etchings being shown here have never been exhibited together. Museum Boijmans Van Beuningen boasts a comprehensive collection of works on paper. Its Print Room, with more than 15,000 drawings and 65,000 prints that include work by artists such as Rembrandt, Leonardo da Vinci, Rubens and Goya, ranks among the best in the world. The high sensitivity to light of works on paper means that they cannot be shown in a permanent presentation, but are featured in revolving presentations that over time provide a fine overview of the wealth of the collection. 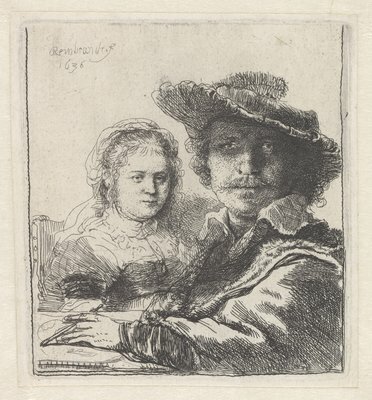 To understand how virtuosic Rembrandt actually was, it is important to consider the boundaries that etching technique was always pushing. Etching follows a fixed process and at each stage an artist makes choices that have consequences for the eventual print. 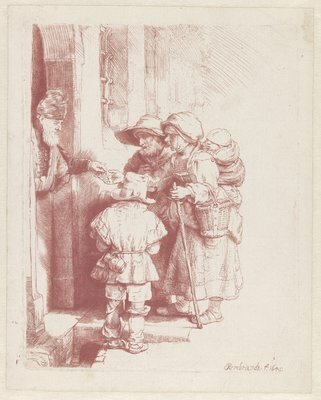 This exhibition uses illustrations by the Rotterdam-based artist Tomas Schats to clarify the workings of the etching process, and how Rembrandt managed to give this a personal twist. 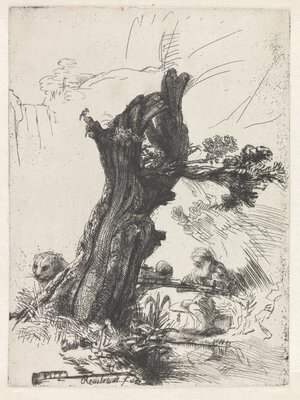 A lecture has been organised on 1 October: ‘Rembrandt as Printmaker: Unusual, Experimental and Innovative’, in which Erik Hinterding (Curator of Prints at the Rijksmuseum) will talk about how Rembrandt prepared his etchings, how this evolved over the years, and how his methodology differed from everything that his contemporaries were doing. Prior to the lecture, Peter van der Coelen (Curator of Prints and Drawings at Museum Boijmans Van Beuningen) will give an introduction to the exhibition. On Wednesday, 4 October, Van der Coelen will discuss Rembrandt as a printmaker during a ‘Draw up a chair with’ talk. On 7 and 8 October, during the drawing festival in Rotterdam, there are walk-in etching workshops and etching demonstrations in the museum. On 9 September, Museum Boijmans Van Beuningen is also opening 'Hewn, Carved, Donated. Medieval Figures from the Schoufour-Martin Collection' and 'Der Blaue Reiter'. The presentation of medieval figures from the Schoufour-Martin Collection encompasses more than a hundred artefacts, three-quarters of which are wooden statues. The exhibition is a tribute to Jacques Schoufour and his wife Ingeborg Martin, who for decades passionately amassed their collection of sculptures. The Der Blaue Reiter almanac (1912) is being presented on the basis of its provenance, at the same time dramatically exploring the revolutionary artistic ideas of the German group of Expressionist artists known as Der Blaue Reiter – The Blue Rider. The crux of the presentation is a unique, numbered exemplar of the almanac’s luxury edition, which includes the original slip-case and two coloured and signed woodcuts by Wassily Kandinsky and Franz Marc. Museum Boijmans Van Beuningen is a multifaceted and idiosyncratic museum that has been based in the heart of the port city of Rotterdam for almost 170 years. A visit to the museum is a journey through the history of art. Dutch and international masterpieces provide an overview extending from the early Middle Ages to the 21st century. From Bosch, Rembrandt and Van Gogh to Dalí and Dutch Design. The museum reveals the origins of Impressionism and Modernism in works by Monet, Mondriaan, Magritte and others, and is the steward of an exceptional Pop Art collection that includes works by Warhol and Lichtenstein. The museum is a hotspot for design and applied art: from medieval jugs and glassware from the Dutch Golden Age to furniture by Rietveld and contemporary Dutch Design.